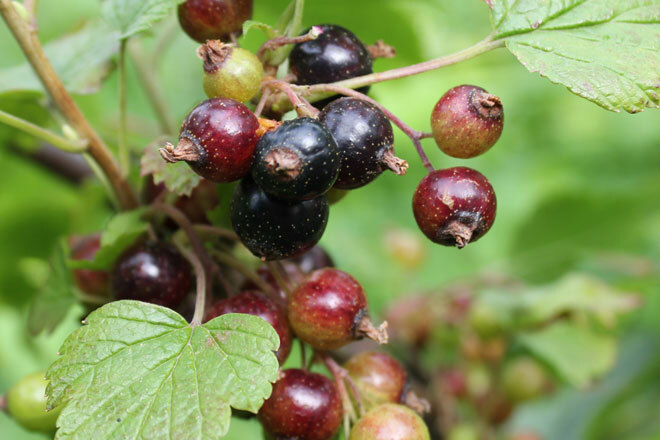 Blackcurrants warmed through with a tiny bit of sugar are delicious with ice cream, thick yoghurt, pancakes or French toast. Currant bushes are wildly prolific and much is destined for the freezer to be pulled out over the next few months for tarts and pies. Blackcurrants make excellent jam and the high levels of pectin give a good set. Cover bottom of saucepan with about 2mm water. Add fruit and lemon juice and bring to the bubble so that the fruit splits and oozes. This takes about 3 mins, stir a few times. Slowly add sugar and cook over high heat for about 8 - 10 mins. Pot into warm sterilized jars.